On the very same day the president addressed the Cuban people, some of those essential, trust-building conversations were taking place a thousand miles to the north. 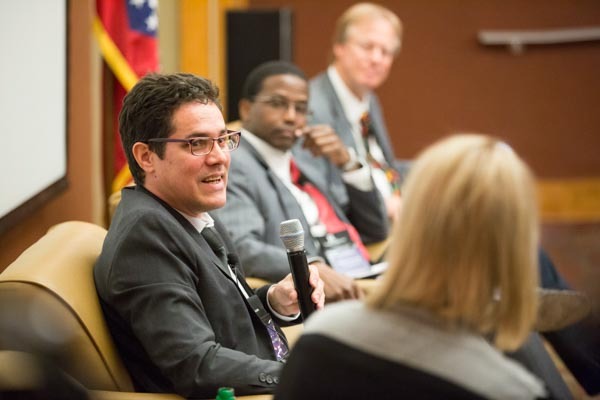 Cuban and American leaders from government, business, academia and the nonprofit world gathered for The Cuba Consortium Agriculture and Food Roundtable on Petit Jean Mountain in Morrilton, Arkansas. 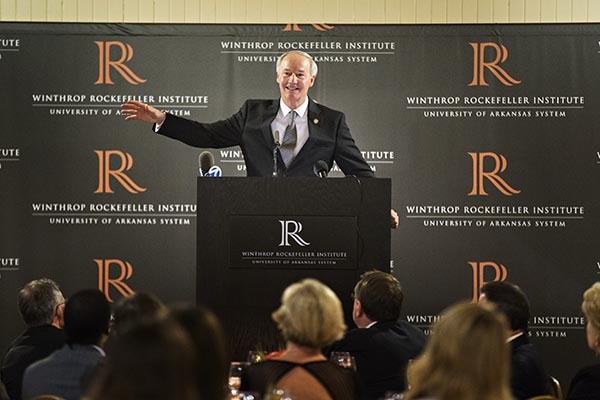 The event was initiated by Winrock International, a global NGO named after Winthrop Rockefeller, that has long been focused on agricultural issues. 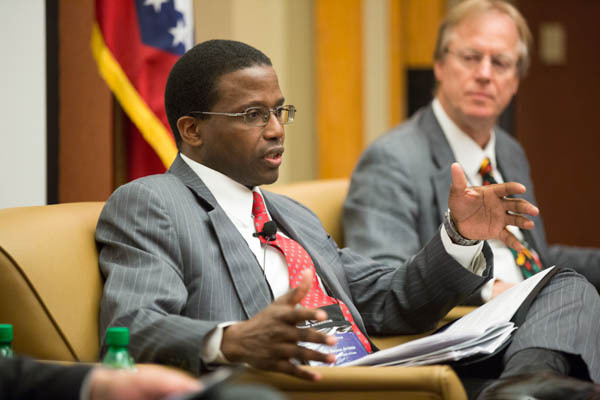 Partnering in the proceedings were co-sponsors the Winthrop Rockefeller Institute and The Howard Baker Forum. 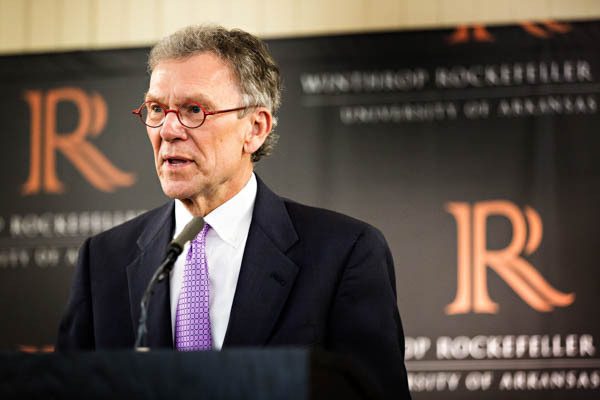 South Dakota Senator Tom Daschle, co-chair of The Cuba Consortium Advisory Board, served as emcee for the two-day event. Also in attendance were American agribusiness leaders, representatives from the Brookings Institution and the University of Florida as well as Cuban trade official Ruben Ramos Arrieta and University of Havana and Yale professor Dr. Reinaldo Funes Monzote. Arkansas Gov. Asa Hutchinson – who last fall became the first sitting U.S. governor to visit Cuba after the two nations officially restored diplomatic relations – delivered the opening keynote. Participants traded views on a wide range of topics. Sen. Daschle skillfully moderated a discussion about the prospects of lifting the 55-year American trade embargo, which is only possible with the approval of the U.S. Congress. Rodney Ferguson, president and CEO of Winrock International, engaged in a spirited exchange about human rights concerns in Cuba while other sessions focused on advancing the dialogue around U.S. and Cuban agriculture cooperation. Winrock International’s role in spearheading this event was a natural one. In early 2015, Winrock began exploring ways it could work with Cuba’s agriculture sector to address economic growth and food security concerns and opportunities. Winrock staff and volunteer experts visited Cuba in March of 2015 and learned about the importance of the nation’s agroecology, particularly urban farming, and the desire among farmers to develop a national organic certification system. Ferguson says the conversation at the roundtable is an important step in building awareness about the needs of the Cuban agriculture sector and establishing Winrock’s expertise in newly opened markets. Winrock is organizing a U.S. visit by Cuban agricultural producers this summer and exploring ways to assist Cuban farmers with entrepreneurship and agribusiness training. Winrock is also investigating other collaborative opportunities and will continue to help foster dialogue between the two nations.